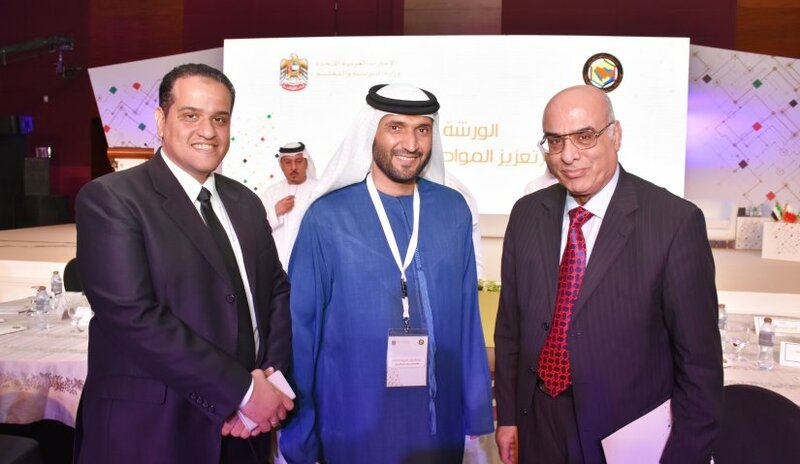 A delegation from Al Falah University participated in a workshop organized by the Ministry of Education Affairs in cooperation with the General Secretariat of the Gulf Cooperation Council (GCC) entitled "Promoting Gulf Citizenship". The workshop aimed at consolidating the concept of Gulf citizenship and strengthening it with a value and behavioral framework through the ministries of education in the GCC countries. It also aims to enhance its importance in young people as a guarantee for immunizing societies from destructive ideas and sustaining their development economically, politically and politically. The delegation included Prof. Dr. Nasr Abbas, Director of Student Affairs Unit, Dr. Ahmed Kamel of the College of Mass Communication, Ahmed Bakhit, Bilal Masoud and Ahlam Al Shamsi College of Mass Communication students.